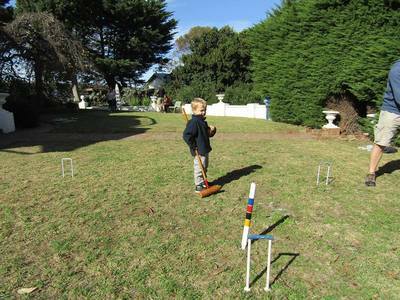 Why you should take your children to National Trust (VIC) properties. The following article is featured in the Winter 2018 issue of Peninsula Kids Magazine. Exploring the estates of the National Trust of Australia (Victoria); surely that’s an activity reserved for “baby boomers” right? Wrong! There’s no need to leave the kids at home because the Trust’s open days are very welcoming and encourage family attendance! The National Trust of Australia cares for the most beautiful and significantly notable historical estates in Victoria. The state’s largest community-based heritage advocacy organisation introduces Victorian residents to an otherwise untapped knowledge of Australia’s past. Noteworthy sites belonging to the Trust on the Mornington Peninsula include The Briars; a wildlife sanctuary and homestead, the McCrae Homestead; one of Victoria’s oldest homesteads, and Mulberry Hill; the former home of Sir Daryl (artist) and Lady Joan (author). Each weekend (except in July and August), the Trust opens the doors of Mulberry Hill and the McCrae Homestead. The Briars is open every day of the year, except Christmas Day. Visitors of all ages are invited into the historical estates to rediscover fascinating stories of the past. Guide yourselves through Mulberry Hill; an American Colonial style property built in 1926. The house belonged to accomplished artist Sir Daryl Lindsay; the former Director of the National Gallery of Victoria from 1941 to 1956 and the Trust’s first president in Victoria. Sir Daryl lived in the property with his wife Lady Joan Lindsay, an artist and writer, famed for her novel Picnic at Hanging Rock. 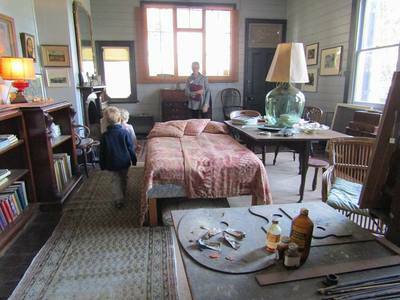 Explore the McCrae Homestead with your children, a property built in 1844 by lawyer Andrew McCrae and his wife, artist Georgiana. The McCrae Homestead is now under the care of the National Trust of Australia (Victoria), who invite families to explore one of Victoria’s oldest and original existing homes, made from local materials; messmate, stringybark and wattle. 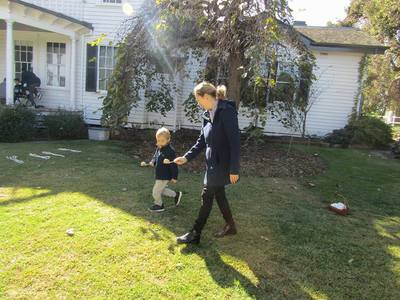 Get your children involved in some investigative play at Mulberry Hill and the McCrae Homestead by completing an ‘eye spy’ sheet. This picture print-out, available at the front desk on entry, features historical objects found throughout the properties and are ready to be ‘ticked off’ once spotted. Settle in with a pre-packed picnic and some good old fashioned fun playing garden games; skipping, croquet or an egg and spoon race. Note that games may differ each weekend. The Briars is perhaps best known for its wildlife sanctuary. Take your children here any day of the week to explore the grounds of the property and keep an eye out for native birds, kangaroos, emus or even an echidna or two! This Trust property is also home to The Briars Homestead, built in 1851 and home to a collection of Napoleon related memorabilia! Tap into a time gone by with your children, at one of the Peninsula’s historical sights. Visit one of the National Trust of Australia (Victoria)’s extraordinary heritage estates and open up a whole “new” (old) world to your children, igniting a curiosity they might otherwise miss. Where: The Briars, the McCrae Homestead & Mulberry Hill.